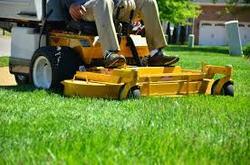 Schedule your area's top lawn care services in minutes. In days past, the best way to find a lawn care professional to service your lawn was to pull out the yellow pages and look up someone in your area or simply just choose a lawn service company that sounded good. 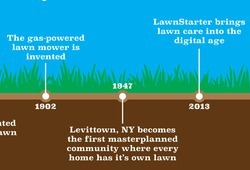 LawnStarter has simplified the process and made it better. The process is now completely automated through our website from arranging for someone to come out and mow your yard to paying for the service. We also have friendly customer service experts on-hand to help you with every step of the process. With Lawnstarter, you can rest assured that you're only getting the top-rated lawn service professionals. We bring you the top-rated lawn care services in your area. With LawnStarter, you can rest assured you're getting the best. All pros must pass screening and maintain high ratings, ensuring you recieve the highest quality service possible. Nate's Lawn Care And Property Maintenance, owned and operated by Nate Moore, is a highly recommended lawn care company in Pottstown, PA. Nate has earned a 5.0 / 5 rating. If you need a reliable and friendly lawn care company, Nate is the one for you. Zachary Smith is owner of Smith And Son's Lawn Care, a lawn service in Stockbridge, GA. Zachary has completed 148 jobs for 24 LawnStarter properties. If you need a professional and friendly lawn service, Zachary is the one for you. Masterco Reality And Facility Managment, owned and operated by Wisdom Adikema, is a family owned lawn mowing service in Baton Rouge, LA. She is rated highly for friendliness, professionalism, and timeliness. Alfonso has been working in lawn care for 33 years, founding Affordable Lawn Care to provide San Diego with the finest lawn care services in the area. Alfonso strives to make a difference in the lives of his customers believing that when you cultivate the space around you to thrive, you will too. He sincerely enjoys his work and is available to provide full landscaping services with great caring to the needs of each individual home. The term “lawn” as we know it today dates back to the 17th century in modern France, where aristocrats had large lawns mostly maintained by cattle. 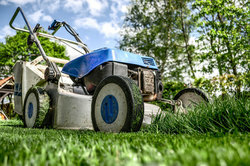 Modern day yard and lawn culture began in the mid-20th century following World War II, coinciding with the boom in subdivisions (defined neighborhoods and suburban living) in the 1940s and 50s. Even though lawn mowing is by far the most common lawn care practice, it's seldomly done correctly. This chapter will go over best practices such as how often to mow, how high to cut your grass, and what type of mower to use. Over time your soil becomes compacted, making it difficult for your grass roots to recieve nutrients, air and water. 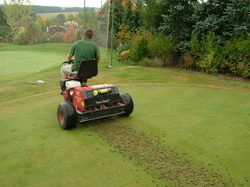 Fortunately, the annual lawn care practive of aeration helps solve this problem. No matter how well you care for your grass, over time some blades are going to die. Overseeding is a once-annual lawn care practice that allows you to plant new grass, crowding out weeds and keeping your lawn strong and healthy. 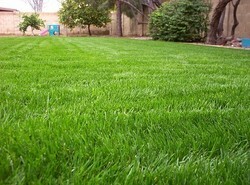 Planting a new yard and wondering what grass type is right for you? This chapter will give you a rundown of the popular grass types as well as which ones are best for your region. 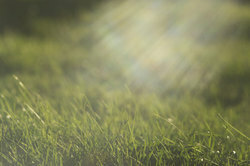 Did you know that in the US, over $74 billion is spent on lawn care annually? This page contains statistics about the U.S. lawn care industry that were compiled by LawnStarter. Statistics on this page will be updated as we receive new data. Leo did a great job. Lots of rain this week so the grass was long in spots but now it looks awesome. Jonathan did a great job from start to finish. He responded to requests and worked with us to give us the best results. Wendell did an amazing job on my lawn, especially considering that the weather was really crazy. The severe storms forced him to stop his mowing on Friday, but he was considerate enough to return Saturday morning and finish the job. That's integrity. Artemio did a wonderful job. He was reliable, easy to contact and completing cleaned up our lawn and landscaping. I would recommend him to anyone. Our yard looks great!!! I am so impressed with how much better our whole house looks just from one service. Thanks Emma!